Tony Gollan-trained Zoustyle will try to make it four wins from four starts when he runs at Doomben. Trainer Tony Gollan is keeping a cap on the public expectation about unbeaten three-year-old Zoustyle who faces his biggest test at Doomben. Zoustyle made it three wins from three starts when he won a three-year-old handicap over 1050 metres at the track on November 17. The gelding steps up to 1200m in Saturday’s $125,000 Winning Rupert Plate at Doomben and is one of 11 entries. Gollan has a big opinion of Zoustyle, a son of star sire Zoustar, but wants to see him beat top company before getting too excited. “The good thing about him is that he can really accelerate from the 600 to the 200 metres and put a gap in them. It makes him very hard to run down,” Gollan said. “But I don’t think he has to lead. I wouldn’t be worried I he sat just off them and had the final crack. Gollan realises the racing public in Queensland is desperate for a top horse to carry the state’s flag. 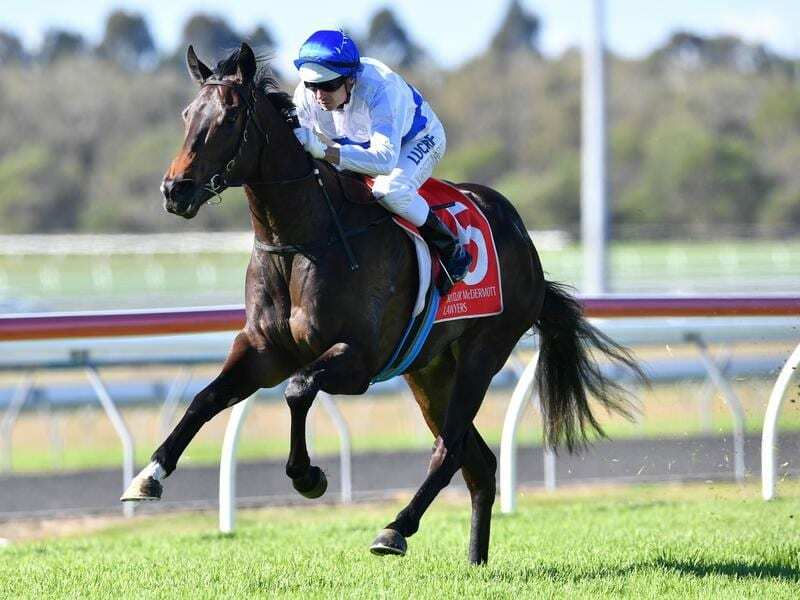 The death last week of promising Caloundra sprinter Tversky emphasised the lack of depth at the top of the Queensland ranks. “I think Zoustyle can go a long way but first we have to overcome a few obstacles. Let’s keep the wraps low-key at this stage,” he said. Gollan will have a strong hand on Saturday with Outback Barbie in the Listed Mode Plate (1200m) for fillies and Most Important and I’m A Rippa in the Group Three George Moore Stakes also over 1200m. Outback Barbie won a trial last Tuesday after sitting behind the pace and finishing strongly along the rails. “It has been well documented how unlucky she has been but she has come up well since a trip to Sydney and she should be a force in the summer,” Gollan said. There were seven nominations taken on Monday for the George Moore including Victorem who split the Gollan pair in the Keith Noud. The Winning Rupert and Mode are legs of the summer three-year-old triple crown which carries a $500,000 bonus for any horse winning three legs.